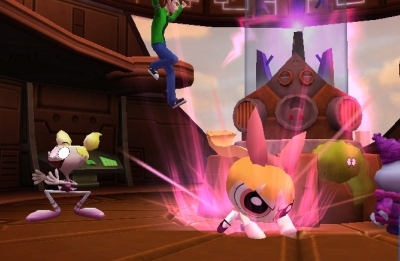 Cartoon Network: Punch Time Explosion 3DS will let you pit favourite characters against each other in arena brawls. Cartoon Network: Punch Time Explosion is a crossover fighting game inspired by Smash Bros. Brawl. 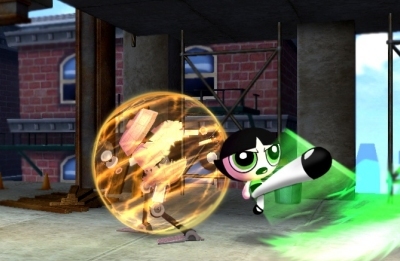 It will include popular characters from 11 different Cartoon Network Shows, including Ben 10: Ultimate Alien, Samurai Jack, and the Powerpuff Girls. A total of 18 playable characters are available, with 19 summoned assistants. An additional two secret characters are yet to be revealed. Punch Time Explosion includes a solo-player Story Mode, where you navigate a series of challenges including puzzle, beat-'em-up and shooting gallery sections. The main focus will be on multiplayer Battle Mode though. 3DS Download play will allow up to four players to battle it out using a single cartridge. 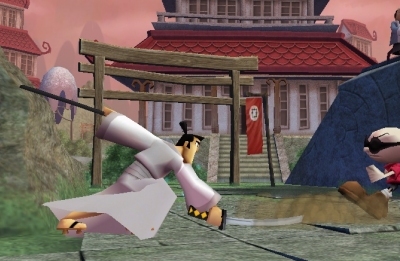 As in Smash Bros. Brawl, the main aim is to build up enough damage on opponents to knock them off screen. Each character has a range of normal and special attacks. Collecting small crystal shards charges each character's ultimate super attack. 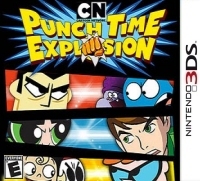 Cartoon Network: Punch Time Explosion is coming to 3DS on 28th October.The Xbox 360 and Wii version is released 18th May. Amber Gilmore wrote this Reporting Gamer article under the watchful eye of Paul Govan. "The problem with video game news is that there is so much of it. 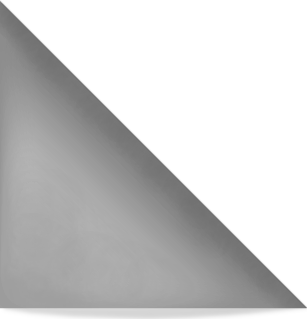 I've made it my task to sift out the noise and bring you news about games I think you should be excited about."